A Regular Show game is happening! Yeah-yuh! In what may very well be the greatest news of 2013 thus far, D3Publisher has announced a partnership with Cartoon Network to publish games based on the greatest television program about a pair of retro-gaming slackers who still live like it's the 80s. D3 most recently handled the distribution of the WayForward-developed Adventure Time: Hey Ice King! Why'd You Steal Our Garbage? !, and all parties are hoping that some of that same magic will carry over to Cartoon Network's other prime time giant. I've been waiting for this announcement ever since I was fortunate enough to interview series creator J.G. Quintel almost exactly one year ago. 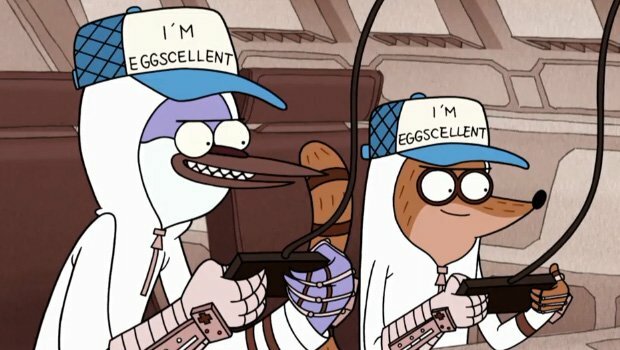 Regular Show is a vehicle for J.G. to incorporate all his favorite old-school pastimes, from cheesy 80s action movies to SEGA Master System gaming. 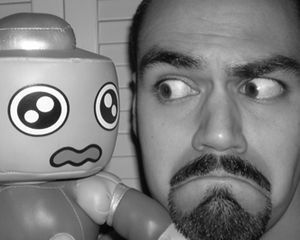 A videogame -- and I don't mean those quick-and-dirty Flash games that flood the CN site -- in the spirit of his childhood favorites is the next logical frontier. J.G. told me that if there ever was a Regular Show game, he would love for it to be either a classic brawler or a funky rougelike similar to ToeJam & Earl. Both styles sound like they could offer a wealth of possibilities, so I hope that D3 strongly considers those options when it shops around for a developer.